Here’s my confession: I love Starburst Jelly Beans! They are my favorite candy this time of year. So, I had to pick up a bag the other day. 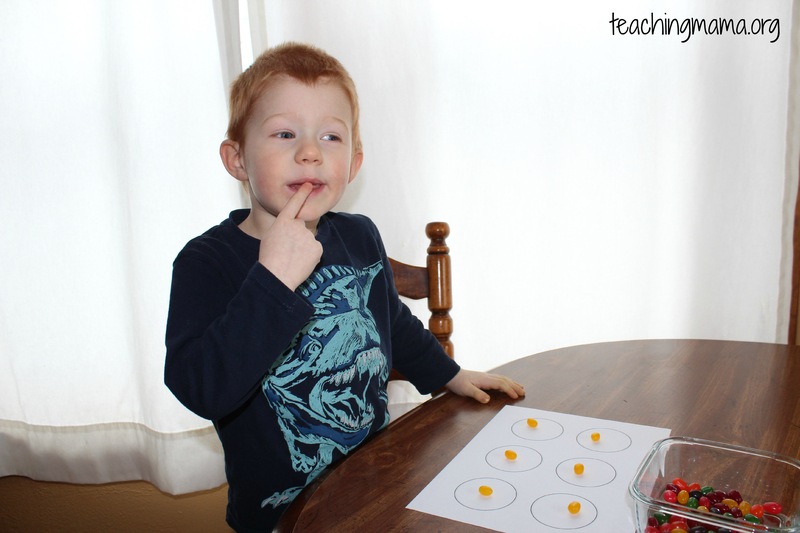 We decided to do some math activities with these jelly beans. First, we counted them. 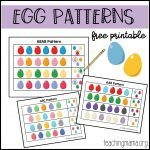 I created this sheet of 6 circles for sorting, but it worked well as a tool for counting. Then I had Troy sort the jelly beans by colors. 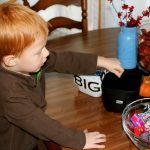 I do have to brag on him–he’s getting really good at sorting! 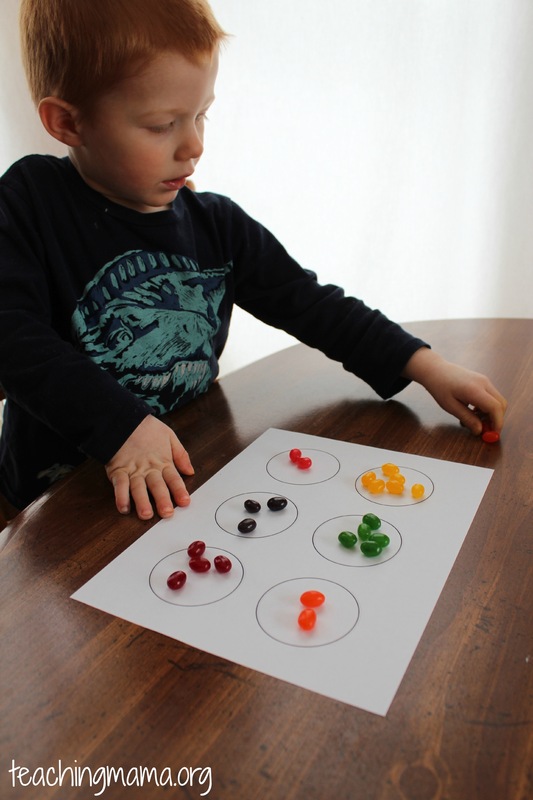 This was also a good fine motor activity, since the jelly beans rolled around and he had to carefully place them in the circles without knocking the other jelly beans down. 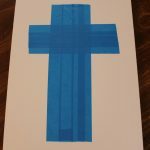 I had Troy tell me which color had the most. He thought green did. So to find out I had him count green and yellow. Then we made a graph to visually see which color had the most. 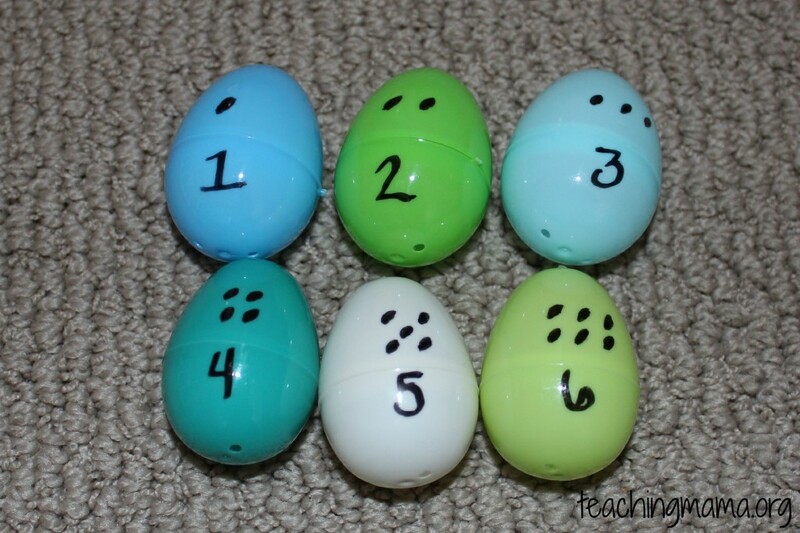 For another math activity, I found some plastic eggs and put numbers with corresponding dots on them. 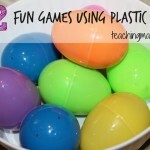 Then I had Troy fill the eggs with the correct number of jelly beans. 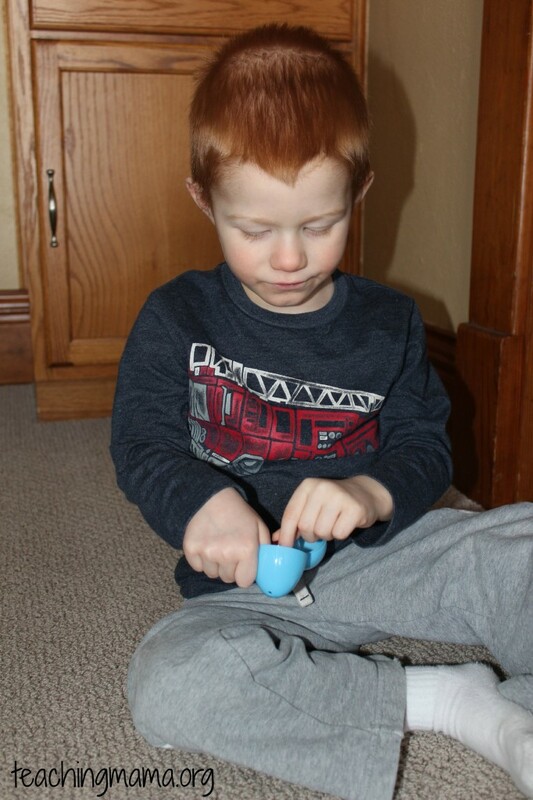 For a listening activity, I had him listen to the sound 1 jelly bean makes in the egg. Then we tried higher numbers and compared how they sounded. 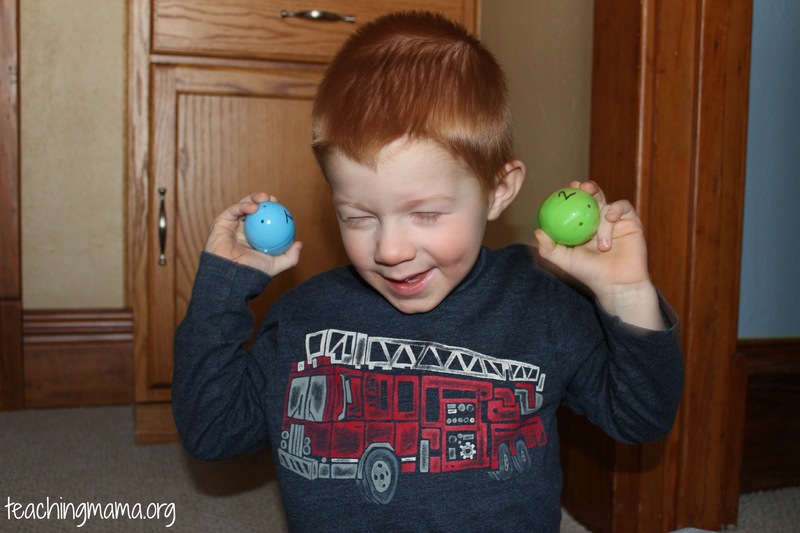 It was a good listening activity for him and it was fun shaking the eggs! 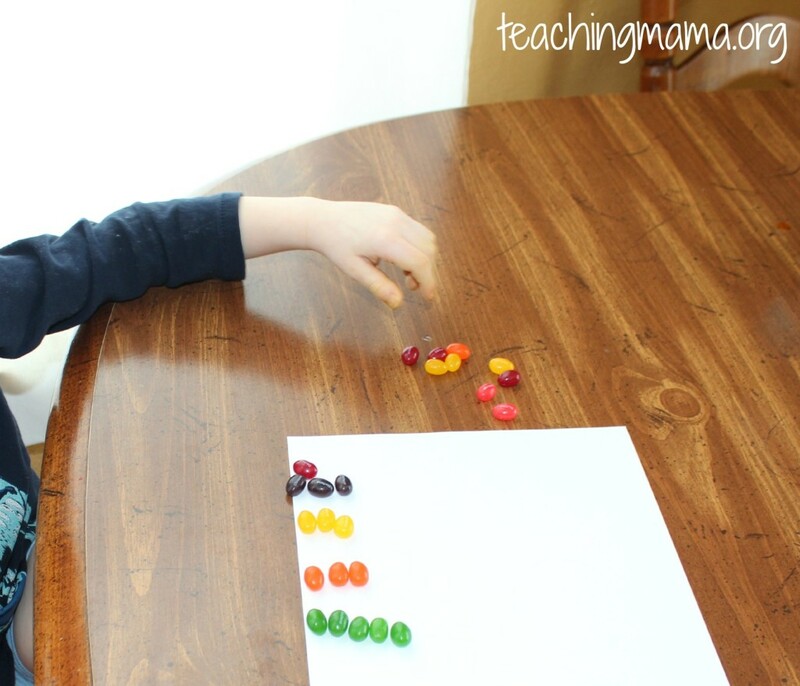 Do you know any other activities that use jelly beans? he is so cute. Did he eat his math after? Thank you!! Actually, he doesn’t like jelly beans! I offered them to him, but he gave him to his brother instead. He’s kind of picky about eating sugary candy…which I won’t complain about! I’m dying for a jelly bean now. 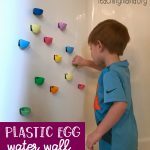 Such fun ideas – thanks for sharing. Thank you for sharing. 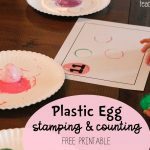 These are such fun for children to be engaged in Math activities.